26 5-ft battle map with Dynamic Lighting (for Roll20 subscribers) and options for Advanced Fog of War. 57 unique named NPC character sheets with matching tokens and GM descriptions (25 w/ pics & player handouts). Over 250 Generic NPC monster sheets with draggable tokens, vision, and separate player handouts. Over 100 Magic Item player handouts (44 w/ pics and handouts). Alphabetized token page of all NPCs and creatures. Player card handouts and interactive deck for Elder Runes and Dungeon Secrets. Additional relevant supplemental rules from the Dungeon Masters Guide and Player’s Handbook. Rollable tables for optional random encounters, madness tables, and rollable tokens for shapeshifters. 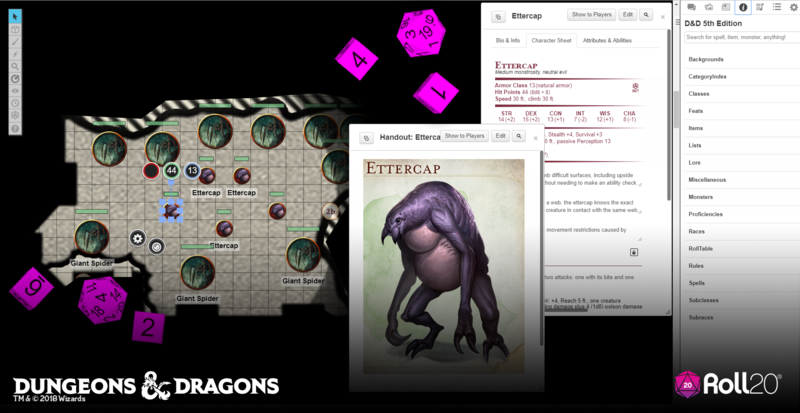 Bonus token pack, map pack and card deck to be used in any of your Roll20 modules. NOTE: Roll20 subscribers can access the first level of the dungeon for free under Waterdeep: Dungeon of the Mad Mage – Adventure Preview. Dungeon of the Mad Mage is designed for PCs of fifth level and should bring them all the way to 20 – a first for an official Fifth Edition adventure. It’s a much more focused, concise adventure than its multi-villain predecessor, but make no mistake, this is essentially one big dungeon crawl. In Roll20 this works remarkably well since every map is scaled to 5-ft, and the new map style, while still simplistic and grey-scale, looks much cleaner and neater for digital tabletop. Each level in the Journal is nicely broken up into multiple sections, such as wandering monsters, side quests, and factions, as well as a full area-by-area breakdown. The Aftermath sections are especially intriguing, as they clue DMs into how to handle each each faction operates after the PCs’ potential machinations. There’s no way I can go through the entire dungeon in the space of this review, but Halaster’s Undermountain dungeon makes Princes of the Apocalypse‘s interconnected Temple of Elemental Evil look quaint by comparison. Each of the 23 (!) levels represents its own unique biome and ecosystem with multiple factions, side quest opportunities, potential allies and jobs, and a plethora of secrets to discover, monsters to kill, and treasure to acquire. The second level alone features a goblin bazaar, a hilariously Gargantuan Gelatinous Cube (courtesy of a magically persevered Duergar skull and its Enlarge ability), a Lightning-powered Flaming Skull within a room of copper plates, a literally toxic NPC adventurer who can join (and bully) the party, and a hallway of petrified creatures and NPCs that can be de-petrified from nearby magical pillars. That’s just one level! Other levels include two warring genies from the planes of water and earth, an underground forest ruled by a half-crazy druid, a crashed spelljammer ship with an illithid captain, a stone giant lair with a miniaturized castle, a gateway to the hollowed out asteroid Stardock orbiting Toril, an evil wizard academy that the PCs can join, a deathtrap dungeon ruled by a Death Tyrant (complete with Halaster’s disembodied play-by-plays harrying the PCs), and Skullport, the organized crime-run town that provide the perfect thematic pit stop. Each of these dungeon levels is enormous, with maps ranging from 55 x 75 to upwards of 90 x 120! For that reason I’m willing to (mostly) forgive the lack of detail and color on the map style. The sheer size and scale of these maps would require a ridiculous amount of artwork, and that level of detail might have brought Roll20 to its knees. While I still prefer the rich, detailed map art from artists like Mike Schley, but I do appreciate that the more grid-like maps of Dungeon of the Mad Mage function and look better than the bare parchment-like maps of Dragon Heist. Story was such a huge focus of Dragon Heist yet Dungeon of the Mad Mage has barely any connection to its predecessor, which surprised me. Running the Xanather villain would serve best, as members of the Xanather guild are operating in Undermountain (and Skullport connects to Xanather’s lair, which is available in Dragon Heist). Instead the story is more about Halaster’s goals (which DMs can choose) and letting the PCs explore and enjoy the enormous content of Undermountain. There are several different side quests that PCs can acquire, many with multiple chains designed to scale as they level. But much of the storytelling in this adventure will be done within each individual level, such as a blind hobgoblin warchief on level three who needs his dagger of Blindsight returned to properly lead his people against the invading drow, or the green dragon on level five with a sentient sword lodged in its skull that’s changed its alignment to good, or the lich on level 20 who opposes Halaster and with whom the PCs can ally themselves with. I would argue that this campaign has as much Underdark flavoring as Out of the Abyss if not more, with extensive use of drow, duergar, and tons of underground-dwelling creatures. In fact there are several places where caves and tunnels can lead to the Underdark and weave into (and out of) an Out of the Abyss campaign. Those expanded tunnels are a neat addition. Each level features optional tunnels that wander off the map. These are designed as optional expansions that DMs could use to add their own custom content – or use some from the DMs Guild. In Roll20 they are entirely optional and hidden, so your players will see them as simple dead ends, unless you choose to connect them. Dungeon of the Mad Mage exceeds all my expectations, with only a few caveats. If you and your group are at all interested in dungeon crawls, you will not find a more extensive, more lovingly crafted, and more intriguing set of dungeons. An astonishingly gigantic, 23-level mega-dungeon that takes a party from level 5 to level 20. Each dungeon level is HUGE, ranging from 4,000 5-ft squares to over 9,000. Each level tells a story of multiple factions, enemies, and potential allies. Nice variety of biomes and settings, from drow caves to underground forests and swamps to a miniaturized castle, an evil wizard’s school, and an orbiting asteroid! Over 250 creatures to instantly drop into a dungeon. Lots of opportunities and spaces to expand any level of the dungeon for custom content, and dynamic lighting and map design keeps it entirely optional. 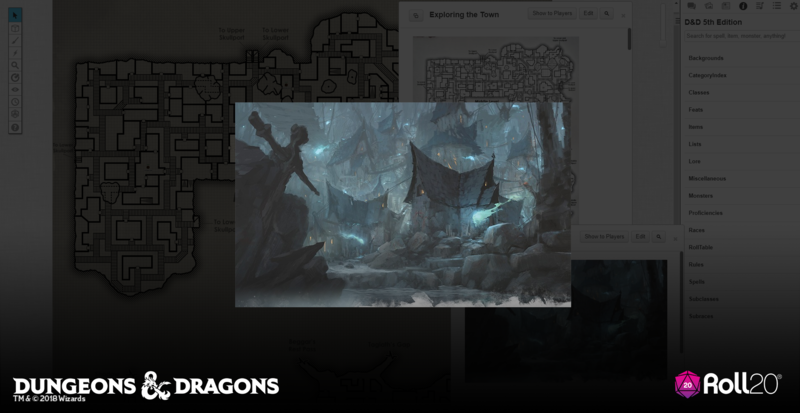 Bonus map pack lets you drop any of DotMM’s impressive dungeons into your own Roll20 campaigns. Maps are greyscale with very little detail. Less an overarching story and more a series of mini-quests and adventures. 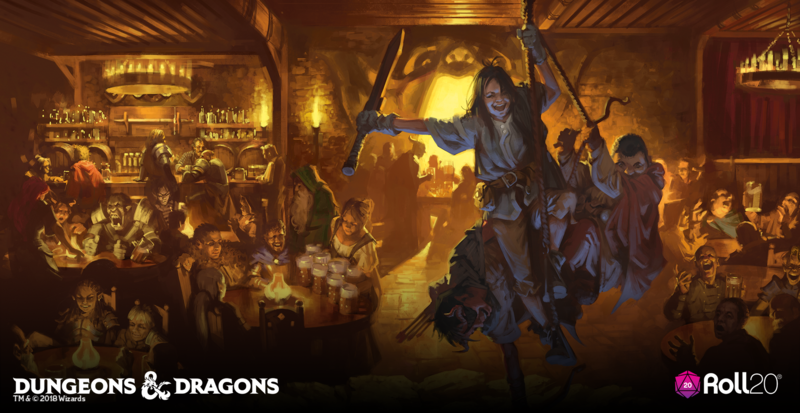 Has very little to do with its predecessor, Waterdeep: Dragon Heist. 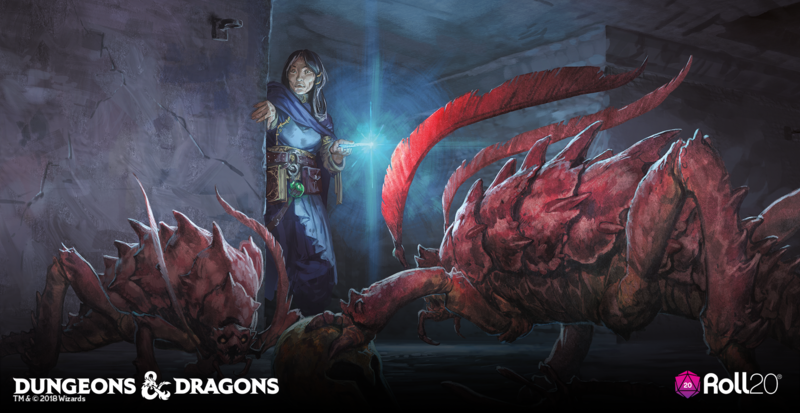 The Verdict: Featuring an awe-inspiring mega-dungeon with over 20 levels of varied biomes and hundreds of creatures, Waterdeep: Dungeon of the Mad MAge is the dungeon crawl of your dreams.